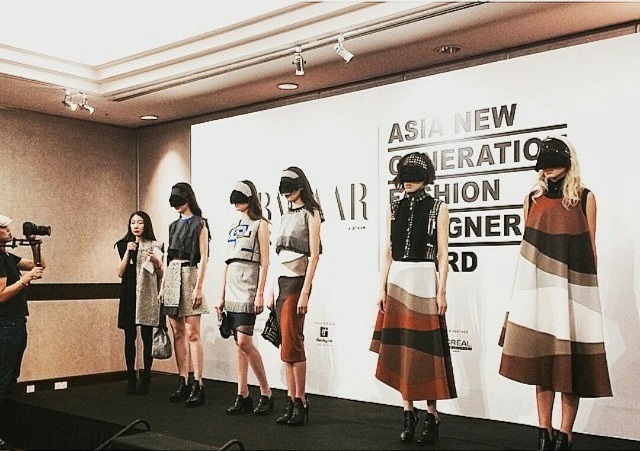 This year marked the 3rd year of the Harper’s BAZAAR Asia New Generation Fashion Designer Awards runway show and this is our second year supporting Raffles Designers in this campaign! This year 3 of our Raffles Designers, Evelyn Chia, Alwyn Chua and Cynthia Fransisca emerging in the Final round. 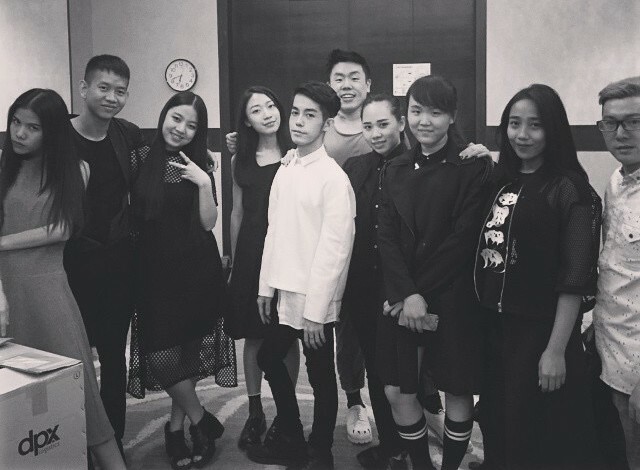 Their fashion collection were being recognized by the 5 Asians editors of Harper’s BAZAAR including Kenneth Goh, Editor-In-Chief, Harper’s BAZAAR Singapore. 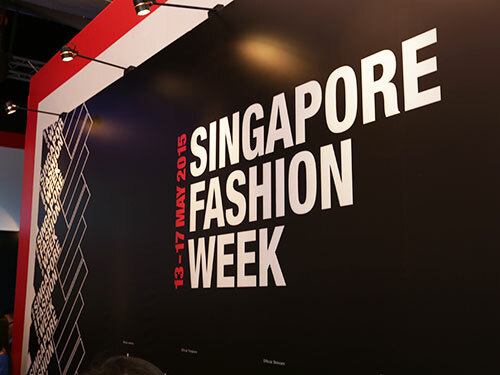 Hosted by Harper’s BAZAAR Singapore, along with its regional counterparts from Malaysia, Indonesia, Thailand and Vietnam, the Awards saw 10 young designers from the five countries vying for the top spot at the regional competition held at Ngee Ann City in Singapore on July 2015. 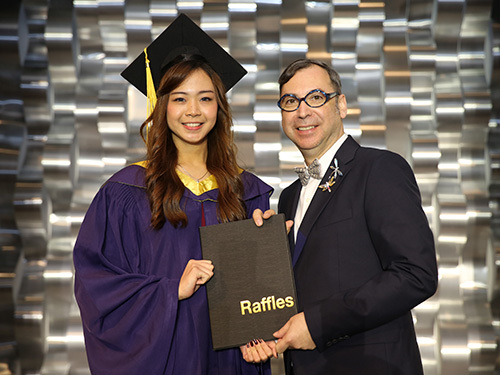 It took exactly 3 months for the 3 Raffles Designer to produce their respective design sketches and collections to be showcased on the runway show. Along the way the students were being challenged with many obstacles, however, they have successfully emerged into the final round of the competition. “I’ve always been inspired by nature. I watched a documentary on the Grand Canyon and was attracted to its beauty, history, and mystery that I started reading up on it. I decided to name my collection Pilgrimage because I felt that it was a holy site and this collection was a journey to it” said Raffles Designer Evelyn Chia. Titled “CYNTHIAFRANSISCA”, the collection’s aesthetic was influenced by her fascination of beauty and dark, modern concepts. Emphasising the idea of darkness, drama and elegance, the collection embraces her visions for the brand — innovative, modern and timeless. The collection was also inspired by the idea of androgyny and gender bender, which explains the feminine and masculine touch of the pieces. Like any other teenager, Alwyn went through a teenage phase that caused him to rebel. But, that phase led him to fashion. 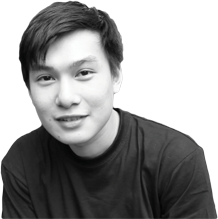 Despite his parents’ objection, he went on to pursue his passion in the industry, and went on to become one of the top 5 finalists in Malaysia Project Runway. Once again, we would like to congratulate our Raffles Designers who made it to the final round! Keep up the good work!